Out lovely Soya candles are handmade container candles, which are delicately perfumed with natural oils. 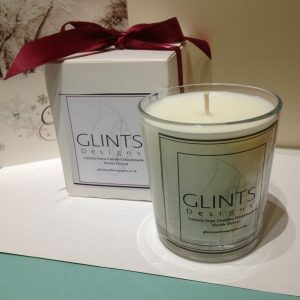 Glints Soya candles are made from 100% Eco Soya and are hand poured into a glass container. Candles are handmade in my kitchen in North Devon & burn 3 times longer than paraffin. Our Soya candles are clean and slow burning and not carcinogenic. 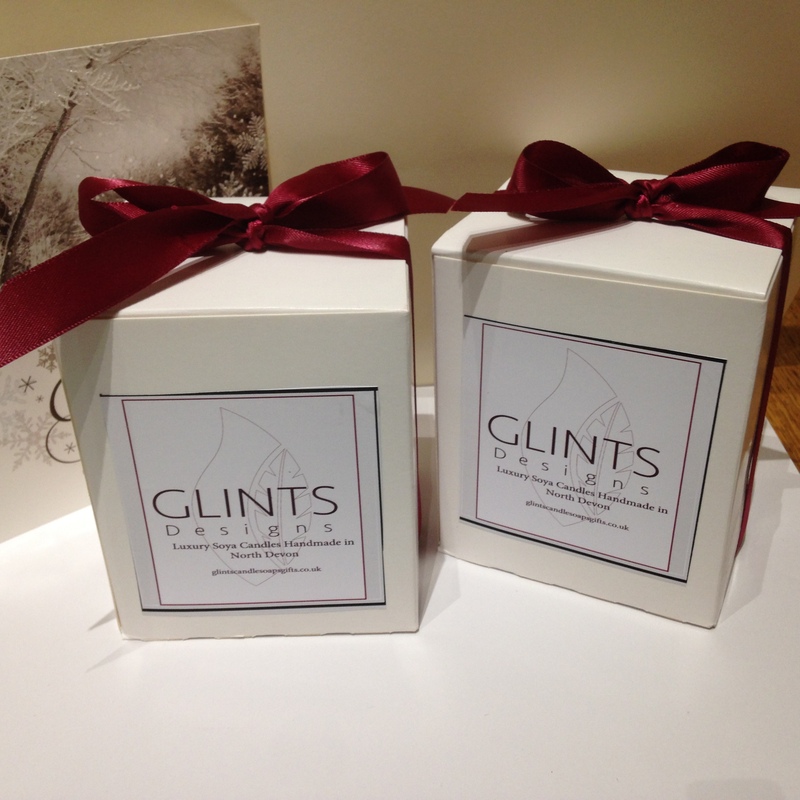 Candles come boxed and make an ideal gift. A choice of scents Sweet Orange blossom & Cinnamon, Rosemary & Lemongrass, Cranberry & Orange. – Cooler, cleaner burn, with no soot build up. – Last 3x longer than petroleum-based candles. Vanilla & Lime sweet ", " Orange & Ginger ", "